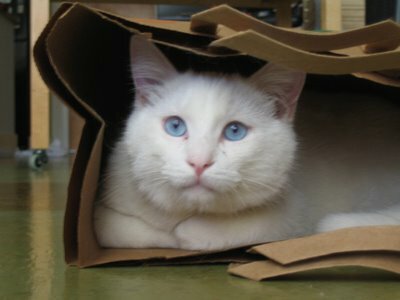 One of Orson’s favorite games is attacking the bottom of the bag – from the inside. Here he’s just chillin. The pic’s a little out of focus, but it shows how marvelously blue his eyes are! Smaller bags don’t work as well! 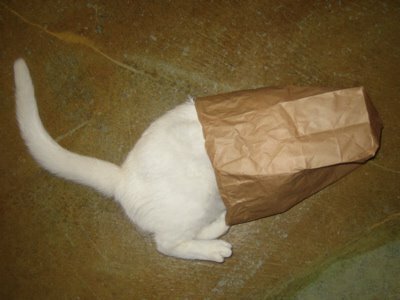 One Response to Cat in a Bag!